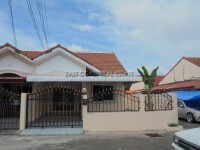 Two Bedroom / Two bathroom semi detached townhouse located on Eakmonkol Village 4, in the busy Soi Kao Talo. The owner has extended the front of the house and converted it into a small restaurant. The back of the house has also been extended, to make more room for the kitchen. The house is sold furnished, including 2 air condition units. The house takes up all of the land area. Could be changed back into residential home or continue with the restaurant. 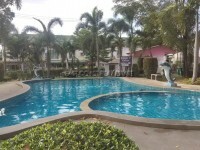 The village is located within walking distance of many shops, restaurants, bars and local Thai markets.